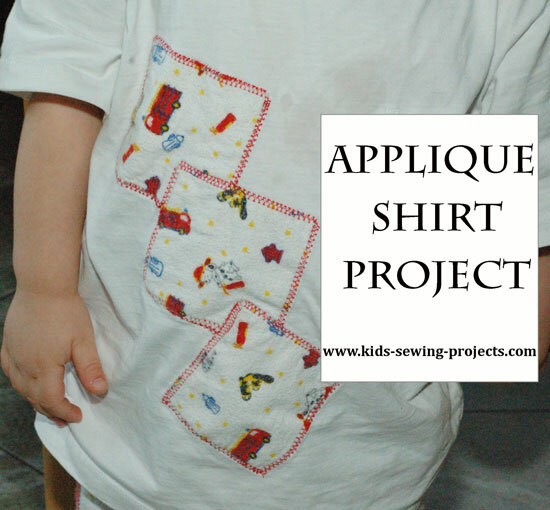 This project is how to make an appliqué shirt. Appliqué is when you take pieces of different material and make a design onto another piece of fabric either by stitching by hand, machine stitching or gluing. Cut out simple shapes such as a, heart, square, or circle out of your material. 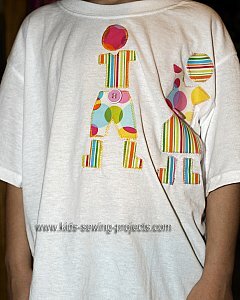 Lay your shapes on your t-shirt however you want to design it. 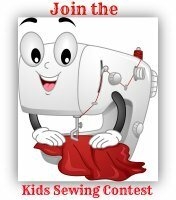 Pin them in place on your shirt where you'd like it sewn. 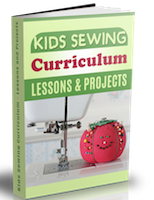 Cut a piece of interfacing the same size as your design. Iron on interfacing on the inside side of the shirt. 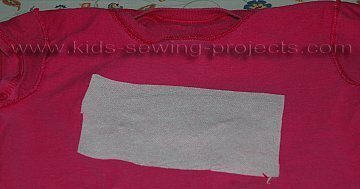 Turn right sides out and sew around all edges using a decorative stitch. Or a simple zigzag works best for this project. Double check before you start sewing that you are only sewing the front of the shirt and the back is not underneath. You can also use iron on patches and cut out designs from them. 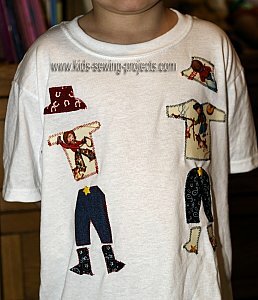 Iron on to your shirt and then applique around the edges. Add buttons for accents.